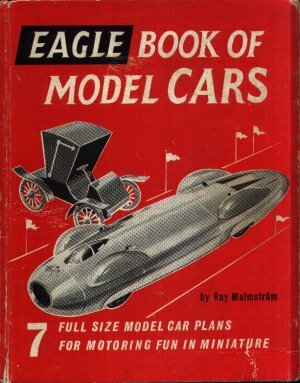 Eagle Book of Model Cars is a book dedicated to showing you in great detail how to build 7 model cars. Some are propeller driven, others powered by Jetex model jet motors. The top of the range models even have glow-plug motors. Pages 2 and 3 show photographs of completed models. The outer back cover has a complete list of materials needed to build the models. Dimensions : 21cm x 26.5cm with 64 pages. Watch your fingers when firing up the glow-plug motors !